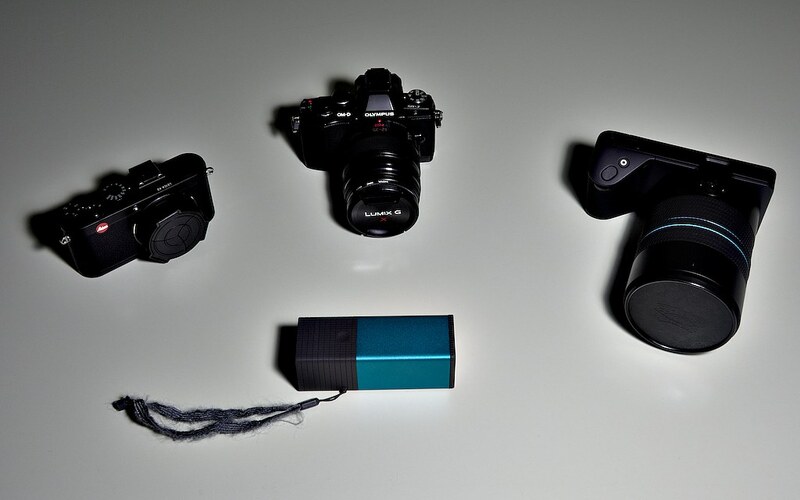 My current choice of cameras, order by increasing physical size from left-to-right (Leica X2, OM-D E-M5, Lytro Illum), as well as from increasing sensor-size from right-to-left. The first-generation Lytro camera is also included with its frayed wrist strap. Images, articles, and comments are owned and © their respective authors, all rights reserved unless specified otherwise.